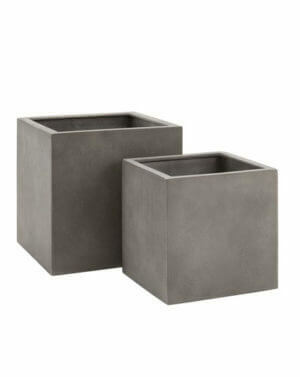 Florence is a premium range of planters that is lightweight, durable, and extremely weather proof. 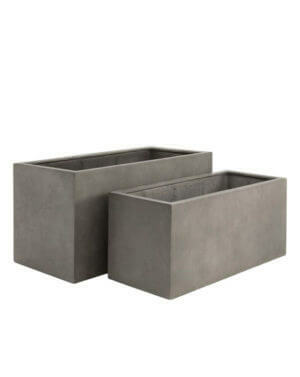 The concrete material used for this range is robust but is also lightweight for ease of handling. It offers superior craftsmanship and excellent workability while adding a hint of elegance in your outdoor and indoor spaces. The mid-grey colour of polished concrete and its slightly weathered look creates an interesting texture and depth for interior and exterior spaces. This range works well with pretty much any colour of exterior, stone tile or gravel. 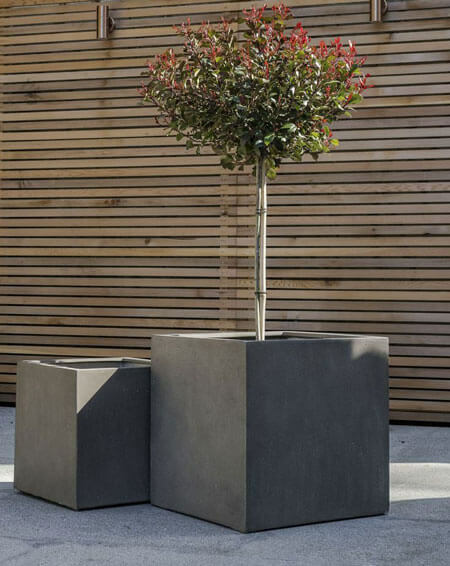 Due to its durability and versatility, our Florence lightweight concrete planters are often specified by landscape designers, developers and architects.